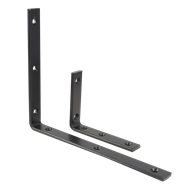 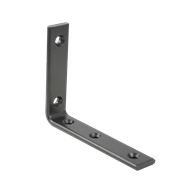 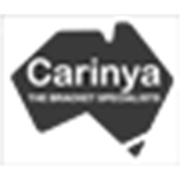 The Manhatten bracket is a heavy duty bracket, made from high quality steel, powder coated black and suitable for supporting or bracing where additional strength is required. The black powder coated finish gives the bracket a more decorative look, perfect for indoor shelving projects in the home, shed, garage or office. Also available in white.